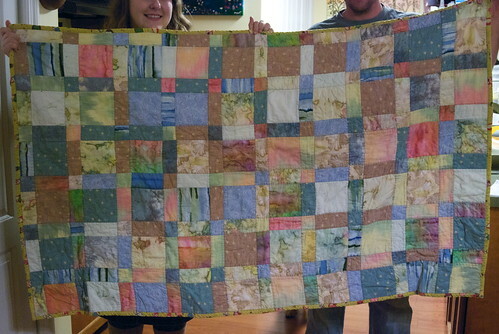 Intended to be a lightning-fast baby quilt. I can't move forward on "Dragon's Fire" until my design software is back up and running, so I might as well knock out a quickie quilt in the meantime. 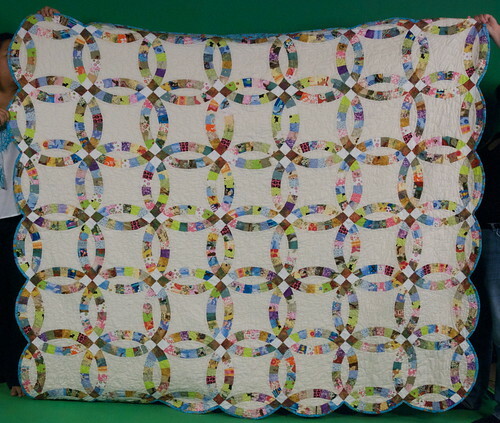 Since it's small, and I've never done a small quilt before, I'm going to attempt to quilt it myself. EXPECT HILARITY. 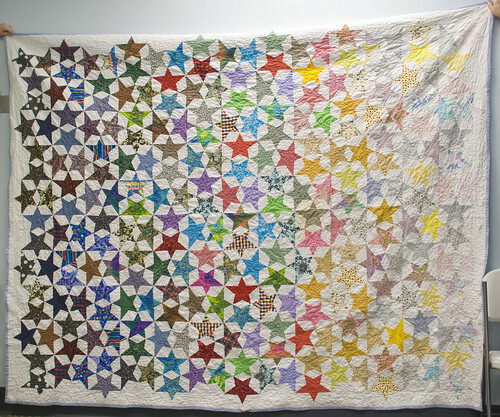 Originally intended to be my first quilt of 2009, this project was delayed a few months by 'star stories' needing to take precedence. 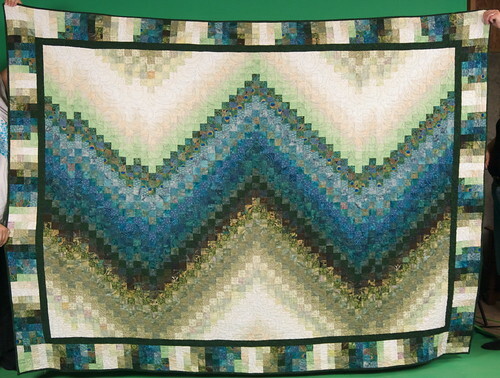 This is a green-blue-white bargello quilt, whose colorway was shamelessly stolen from screenshots of Lothlórien from the Lord of the Rings trilogy. I haven't exactly been sewing much since I got back from the Vacation + Furlough Extravaganza. I know this shocks no one, myself included, but it's taken me longer to bounce back from this trip than the previous ones. My urge to lie on the couch and soak in the quietness that is home is difficult to ignore. Friends can vouch; they've seen little of me. Read more about See? It looks planned!